Congratulations! You’ve accomplished the rare NYC housing feat and landed an apartment that allows pets. Typically apartments that accept pets will also require an additional pet deposit because, you know, pets make messes of all kinds. 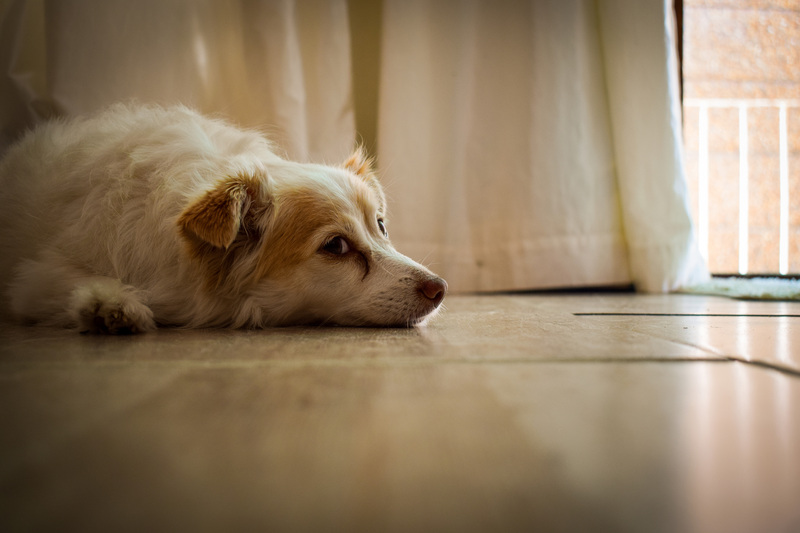 While cats tend to make lower-impact pets, dogs — while undeniably adorable — can require a lot of maintenance and can wreak havoc on an apartment. Here are some tips for surviving raising a puppy in an apartment. Being responsible for another living being can get pricey. You’ll need to get an estimate of what food, pet insurance, toys, grooming, cleaning supplies and other miscellaneous expenses will cost on a monthly basis. This is also a great time to read the fine print of your pet insurance policy. Make sure your plan covers preventative care or any ongoing conditions your dog may have. Otherwise you could end up spending significantly more cash should your dog become ill.
At first, it’s best to get in some much-needed bonding time and allow your new fur baby to get acclimated to its new home. This is also a great time to stock up on toys and any supplies you may need, and to enroll your pup in obedience classes. Most importantly, you can use this time to establish a routine surrounding walk times, feeding times and, of course, play time. Puppy-proofing your home is a must. Don’t leave garbage cans out in the open, and put household cleaners, cords and other choking hazards out of your dog’s reach. Even certain plants can be toxic. Puppies chew, chew and chew some more. If you don’t want your favorite shoes or knickknacks to become your pet’s favorite snack, be sure to keep them out of reach as well. If you haven’t gotten to know your neighbors, now’s the time. Even if you think your pup is well-behaved while you’re home, that may not be the case. As a precaution, ask your neighbors to come to you directly if they have concerns about noise or overall behavior. It’s best they complain to you as a first course of action rather than your landlord or building management. It’s a bad idea to give your new puppy free reign of the apartment while you’re at work, especially if it’s not potty trained. To limit messes and accidents, designate an area of the apartment where your puppy can reside while you’re out. Kitchens and bathrooms work best, as these areas are not carpeted and allow for easy cleanup of accidents. Otherwise consider blocking off a room for your pup with a baby gate. If you work full time not from home, you’ll want to have someone check on your pup while you’re away, or at least give them a quick bathroom break. Find a dog-loving friend or neighbor, or enlist the services of a dog walking service like Rover.